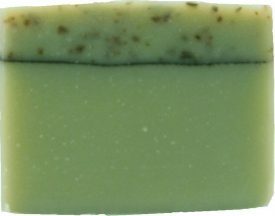 Lemongrass Sage Organic Soap has a fresh, earthy, outdoorsy scent for a refreshing and luxurious cleanse! 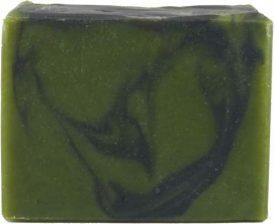 Lemongrass Sage Organic Soap is a zesty, fresh, green blend of organic Lemongrass and Sage with earthy undertones of wildcrafted Cedarwood creating a vibrant yet comforting scent that refreshes your mind and softens your thoughts. 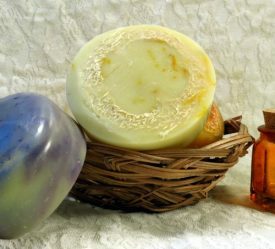 This moisturizing organic soap makes a thick silky lather that makes your skin feel soft and smooth. 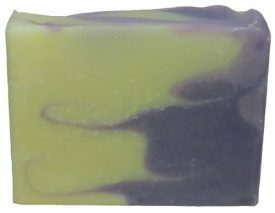 Lemongrass is helpful for uplifting the mood while also cleansing and freshening the atmosphere…a shower experience that cleanses your body and your soul! 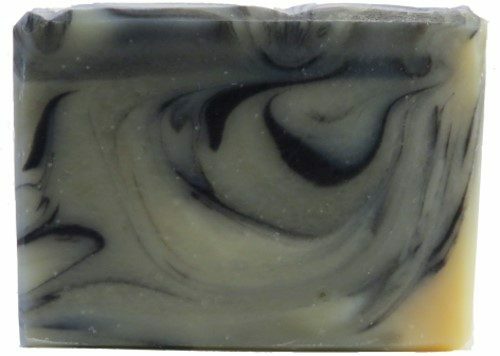 All of our organic bar soaps create a thick, creamy, silky lather thanks to the rich combination of organic ingredients that we use such as Fair-Trade organic shea butter from a women’s co-op in Ghana, beautiful dark green, cold pressed organic hemp seed oil, and pure, delicious organic virgin olive oil…creating a luxurious, emollient, velvety bathing experience! Saponified oils of organic olea europaea (olive), organic cocos nucifera (coconut), organic palm, organic fair-trade butyrospermum parkii (shea butter), organic cannabis sativa (hempseed), persea gratissima avocado, and organic ricinus communis (castor) oil, sea clay (for color), pure essential oils, raw silk fibers.